Los Angeles—The bicycle lanes that are prevalent throughout downtown abruptly stop at Skid Row, where very low-income tenants and a large Black homeless population reside. On July 8, 60 residents and activists rode from Skid Row to City Hall to protest this lack of bike lanes, despite the large number of bicycle riders living in the neighborhood. At City Hall they rode in a circle, blocking traffic and displaying signs demanding that the bike lanes on 5th Street and 6th Street be extended through Skid Row. Later, they converged at the Central City Los Angeles Police Dept. to protest the department’s collusion with developers to harass and criminalize the large homeless population to make way for large-scale gentrification. The riders pledged to make their protest a monthly event until bike lanes are provided. 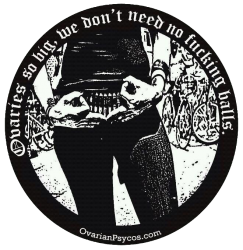 Come August, the Skid Row bike riders decided to join with the Ovarian Psycos, 150 mostly young Latinas, LGBTQ, and people of other races (including from San Diego and San Francisco). They gathered at the L.A. Historic Park, adjacent to Chinatown, which had been redlined for warehouse development. Another stop was Newton Precinct in South Central L.A. An indigenous Transgender woman spoke of the oppression women of color face from police. She also raised the name of Daniel Perez, who was shot and killed by a Newton police officer, and the name of her own brother, shot four times while walking to the store. In Skid Row and at Jordan Downs Public Housing Project, activists denounced the mass demolition of affordable housing units. In Boyle Heights, residents spoke out against the influx of outside artists and coffeehouses that has too often ended up being a force for gentrification in this low-income Mexican-American community. Inmates at Lynwood Women’s Jail, and at another 12-story federal prison for undocumented immigrants, blinked their lights to welcome the demonstration outside, where activists denounced the fact that Los Angeles County imprisons more people than any other county in California. This entry was posted in Articles and tagged Affordable housing, Basho, bike lanes, Boyle Heights, Daniel Perez, homelessness, Jordan Downs Public Housing Project, L.A. Historic Park, Los Angeles City Hall, Lynwood Women's Jail, Newton Precinct, Ovarian Psycos, Skid Row, South Central Los Angeles. Bookmark the permalink.